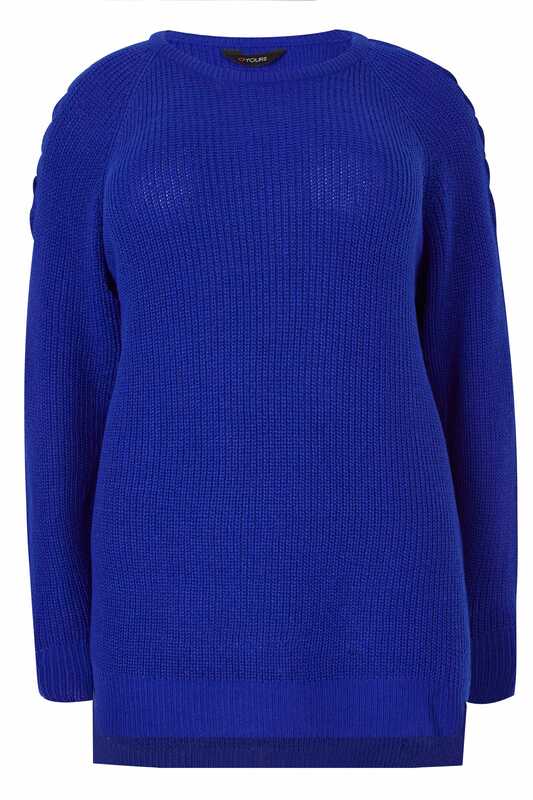 Get instant style impact with this knitted cobalt jumper. 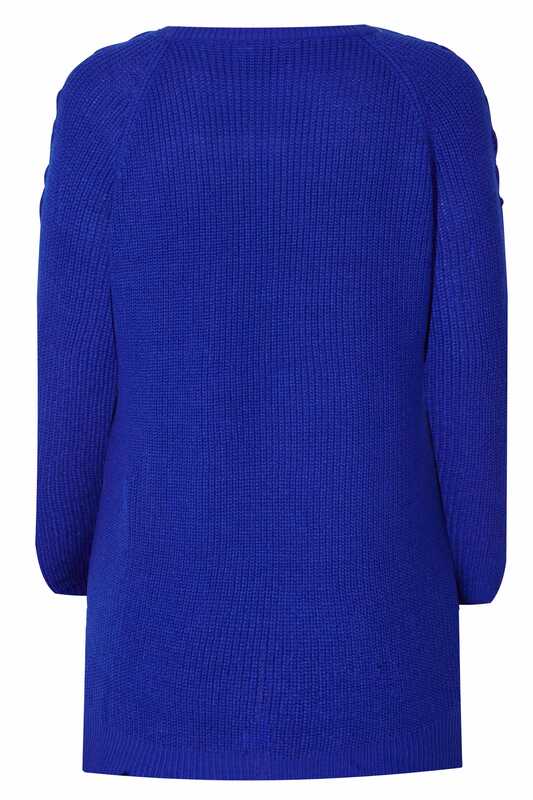 In an electrifying blue hue, it features contemporary lattice detail to the shoulders and a soft scooped neckline. The perfect way to jazz up your denim, style with a pair of chic biker boots for cool but casual vibes. 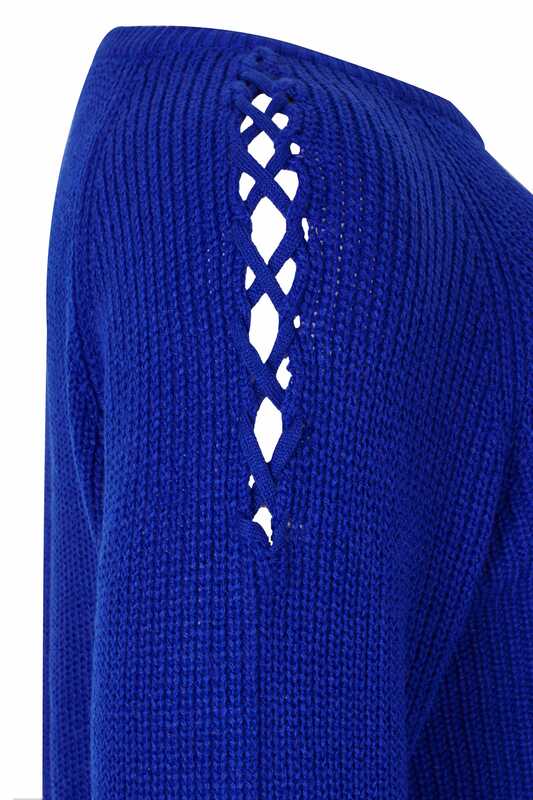 Blues are big business this season.